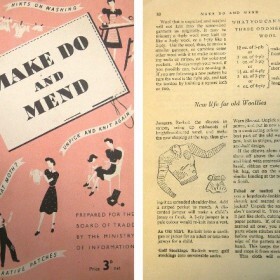 Make do and mend. It was my Nan’s mantra. She lived through the shortages of the Second World War, and the rationing that extended well beyond, and she just couldn’t shake it despite living into the 1990s. Make do and mend she certainly did, which is why nothing ever got discarded, no matter how outdated or unfit for purpose it had become. My poor Grandad would thus go walking in the rain looking like Captain Scott, weighed down by a patched-up heavy woollen pullover and canvas smock – all the rage for intrepid adventurers at the turn of the 19th century but, sadly, not fit for purpose in the era of Gore-Tex. Luckily, my Nan was not involved in the modernisation and improvement of our examination and assessment system, but she might as well have been. 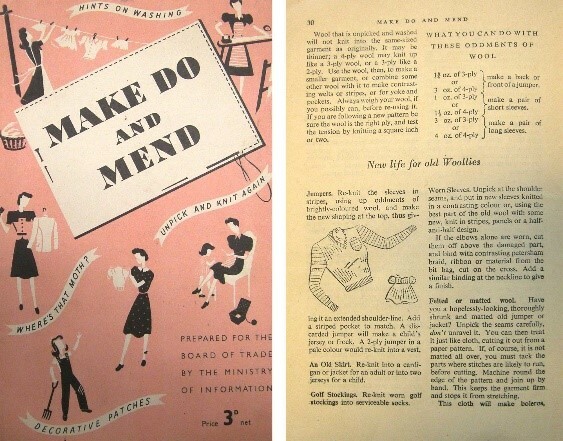 Make do and mend seems to have been the principle underpinning successive attempts to fix the system by which our school leavers are judged and ranked. It is time for a dramatic re-think in our approach. It is not as if the alarm bells haven’t been ringing loudly enough. Rarely, if ever, do we have consensus across the educational spectrum about important issues. This is a glorious exception. Everyone, it would seem, knows that the exams our children take do not support the education we know we need to give nor give them the skills employers value the most, yet we continue to tinker and patch up a system which is now woefully outdated and getting more so as the pace of change quickens. Throughout human history, the nature of assessment of individuals has been remarkably nimble: adjusting to each era to respond to changing needs. Our early hunter-gatherer ancestors would look for bravery, strength and co-operation. All very important in bringing down a woolly mammoth! Assessment was brutal but simple. If you didn’t have these characteristics – if you happened to be timid, weak and uncooperative – you wouldn’t last too long in the group and your genes would disappear along with you. During the age of agriculture what mattered was having one skill and doing it well. A ploughman hiring a plough hand would worry only if his new employee could hold a plough straight and true for a day, and it didn’t matter a jot if in the evening he wrote sonnets to his true love or could kick a pig’s bladder clean across the yard! For centuries having a single skill and performing it well was enough to keep you fed and clothed for life. Then as the age of information dawned and humanity moved from the field to the office, two skills became incredibly important: method and recall. In the absence of computers, the ability to hold large amounts of knowledge or information and then apply this knowledge to a task was paramount to success. The more skilled the job the greater the need to use these two skills and the more important it became to show that you had them. So in 1858, a system of public examinations was introduced in order to assess and rank school leavers in these two aptitudes. Children would go into a large room where they would pen answers to examination which were split into subjects: English Language, English Literature, Mathematics, Geography, Latin, French German, Sciences, Art, Music and Religious Studies. Recognise this? You should, because it is basically the same system that we employ today. Like my Grandad’s de-mob suit, it has been patched up and re-shaped many times but underneath it is still the same old suit. We have made do; we have mended. Children remain valued and recognised largely for their ability to recall knowledge and apply method. The modern world has changed beyond all comprehension since 1858. A time traveller from the mid-19th century would be discombobulated by almost every aspect of the world we live in but would take comfort from the familiarity of the education system, and even more so from the nature of the examinations that mark the end of a child’s schooling. Should our time-traveller stumble upon an examination room in June, they would feel very at home. If it ain’t broke, don’t fix it. Except it is broke and we need to take a radical approach to fixing it. Fast forward now to 2015 and a report by Oxford University and Deloitte suggesting that huge numbers of professions and jobs are at risk to automation and digitisation in the next two decades. Robots are in and humans are out! At least, they are in the jobs that require certain skill sets that robots can do particularly well: method and recall. Precisely the same skills that each summer we ask our children to demonstrate during two months of stressful and potentially life-changing assessment. The good news is that whilst computers are remarkably good at some things, they are also remarkably inept at others. They can’t adapt – at least, not outside of a small range (try asking a robot on the car production line to diagnose an illness). They have no emotional intelligence (you wouldn’t ask a robot to support an employee with a stress). They are incapable of leading (would you want a computer running your company?). Public speaking, critical thinking, creative writing…I could go on. In fact, there are a huge number of aptitudes computers don’t have which in the digital age are becoming increasingly valued and important. The latest study may well prove to be as accurate as an episode of Tomorrow’s World in the 1970s but the core principles strike a chord with me. It is the same message I hear time and again when I talk with employers: don’t send us robots, they say, send us school leavers with skills that are truly relevant. People like Richard Branson and Michelle Mone are often cited as great examples of success against the odds having left school with no qualifications, but really this shouldn’t be a surprise. Their strengths lie in different areas – areas which matter today. They possess skills like adaptability, leadership and empathy and independence of thought. It follows therefore that we need an education system that nurtures and assesses these skills, but instead we’re stuck with a system designed for a different era. The very best schools will continue to educate in a way that values soft skills knowing that, despite the lack of recognition in the assessment system, the skills their students learn will hold them in good stead for their futures. Don’t be fooled, however, into thinking that this is the norm. Despite the oft-heard rhetoric, most schools – independent and state – driven by the funding imperatives of featuring high in the league tables, adopt a safe and narrow approach which they calculate will provide the greatest chance of success in the summer round of testing. A good starting point would be to have exam markers who are trained, qualified and have the time to spot truly creative and original thinking. Most importantly, we should take a completely fresh look at our national examination system starting with a vision of where we would like to be before working backwards to create the system that best supports it. It is a huge undertaking but not impossible; the International Baccalaureate, for example, already goes some way to achieving this aim by placing emphasis on skills such as critical thinking, service and independent learning. At Wellington College we say “do not ask how intelligent is this child, but how is this child intelligent?” Until our examination system does the same we are doing tomorrow’s generation a great disservice. It’s time to stop the make do and mend approach and create a system which recognises and values the skills required for a modern world.